Here at Garage Door Pros, we have the experience and expertise when it comes to garage door repair services in Davie. We understand how many homeowners rely on their garage door to keep their possessions clean, block out the elements, and to prevent unwanted visitors from getting inside. When your garage door begins to fall into disrepair though, how can you tell when it needs proper maintenance? We want to help our customers to extend the life of their garage door as much as possible. There are a few signs you can look out for to tell when your garage door needs to be repairs. 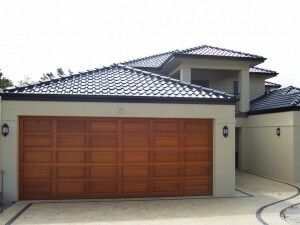 Davie garage door repair is very important for keeping garage doors in working order. One of the first signs to look for if you suspect your garage door is not working properly is when it begins to make odd sounds. Garage doors that screech or squeak when opening or closing can often be a sign that a spring or spring has become broken or loose. Collision springs in particular are notorious for needing to be replaced on garage doors. Screeching may also indicate your garage door is off its track too. When a garage door is off the track it needs to be put back on it immediately or may stop working all together. Never attempt to try to replace or repair any of the garage door springs yourself. These springs are very tight and have been known to hurt inexperienced people who try to replace or remove them. Let us handle the job since it requires special expertise and skill to replace these springs effectively. The idea of balance for a garage door may seem ludicrous, but in fact it’s a big part of how the door operates too. Balancing issues with your garage door needs a Davie garage door repair service to get your door back into tip top shape. The best way to test the garage door’s balance is to pull it up manually. Pull the door open using the emergency lift and pull the door up about halfway. Let go of the string and watch the garage door. The door should only fall about an inch or two before it stops, but if it crashes down this can mean the garage door needs to be repaired. The garage door crashing down could indicate that the collision springs are broken and or not working properly. 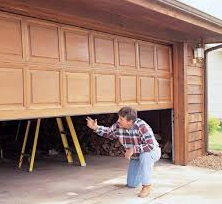 Testing your garage door for balance issues is highly recommended since it allows homeowners to catch problems early. The best time to test out your garage door’s balance is at least twice a year just to make sure it’s in good working order. Every garage door relies on a complicated pulley system to help them rise up and go down. This system is often powered by a motor so home owners don’t have to manually lift up the garage door. These components can often wear out, fall apart, rust, and at some point need to be replaced. When you start to notice either the springs or other areas of your garage door begin to show signs of heavy wear and tear, you may need a Davie garage door repair service. One of the best ways to find out how worn out a garage door has become is to inspect the motor and other components. The springs on the motor should be well oiled and be able to work flawlessly. There are some cases where a garage door may squeak when opening depending on the type of motor that’s being used. This problem can be fixed by adding some more lubrication to the springs in order to make them more quiet. Most of the time though, a garage door will often have to be replaced or heavily repaired. There are many cases where a part simply has to be replaced when the garage door itself is fine, but its components have begun to wear out. When the garage door itself begins to fall apart it needs to be replaced immediately. Here at Garage Door Pros, we also do garage door installations. There are many ways to check to see if your garage door needs to be repaired or not. One of the best ways is to look for the warning sings before a small problem with your garage door becomes a big one. The garage is perhaps one of the most important areas of the house for many people. There are many people who use the garage to store their items, enter the house, use it as an extra room, and other innovative ways this are of the home has been utilized. With that being said, the security of the home is very important too. The garage is often the first line of prevention when it comes to keeping unwanted visitors or pests out of the home. Garage Door Pros know garage door repair is the first preventative step many people can take in making sure their garage door stays in tip top shape. Why should you risk the security of your home? Garage doors come in all shapes, sizes, colors, makes, models, and are even made out of a variety of materials too. One of the major aspects of garage door repairs is preventative maintenance which can help stop problems before they even begin. While a well-made garage door can last for many years, over time the door can start to have problems. Springs can start to squeak, the door can start to screech, some doors may start to come off their track, and yet other doors may simply just not work like they used too. 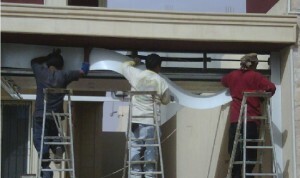 Garage Door Pros is well versed in making sure your garage door continues to work as needed. Even the cheapest garage door is a big investment to make, so you want to extend the life of your door as much as possible. When you have your garage door checked each year, you’re helping to extend its lifecycle. We are more than happy to offer our garage door services to residents who need their garage door in the best working condition it can be at this time. Garage doors use a complicated pulley system in order to rise up and down. This system consists of several components working in unison that need to be well taken care of to help the garage door work properly. When something goes wrong in this system, everything can stop working. Even the best garage doors can experience problems early on such as a spring coming loose, coming off the track, or even just regular wear and tear. Depending on how often the garage door is used, it can start to seem as if it’s coming apart over time. One of the best ways to prevent costly repairs early on is preventative maintenance. People often overlook this aspect of garage door repair since they consider the garage door one of the aspects of the home that doesn’t need attention. The opposite is actually true since the garage door can often start to break down. Small problems can often become big ones if left alone. Down the road this can lead to costly repairs for the garage door or can even force people to replace their garage door completely. How Will Garage Door Repair Keep My Home Safe? Garage doors are the first step in keeping out unwanted visitors and pests from your home. Many people have started to utilize the extra space their garage provides since it’s so convenient. Garages in today’s world are being used as a playroom for children, storage space, a hang out, and other uses too. Pests like raccoons, rats, squirrels, and other animals can find weaknesses around the garage door if it falls into poor disrepair. When they’re able to get in they can wreak havoc and become a nuisance. When people store important items in the garage and the garage door is in poor repair, this puts them at risk for being stolen. Garage door repair is very important since it can extend the life cycle of the garage door and offer protection against pests and unwanted visitors. When a garage door is properly maintained it can save home owners from having to shell out extra cash for an extra repair. Not to mention a garage door kept in good working order offers more benefits and lasts longer than a broken one. Here are Garage Door Pros, we understand how important it is to keep your garage door in good repair. We offer preventative maintenance, repairs, installations, and can even replace components of your garage door for you too. We’re more than happy to help out our customers at an affordable price.